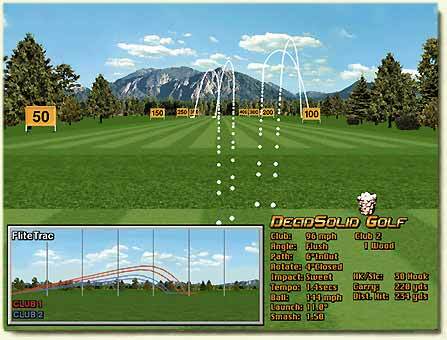 DeadSolid Simulators are the most advanced Indoor Golf Simulator Systems for course play, range practice & Computer swing analysis. 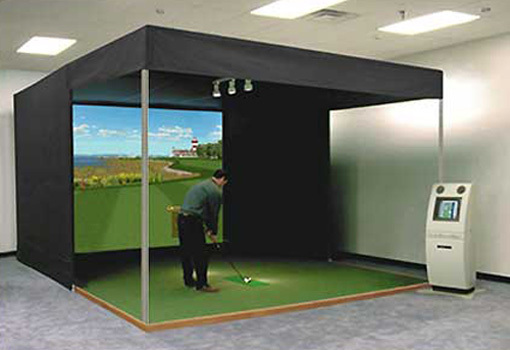 Because of these features we employe DeadSolid for your recreation, club fitting and golf instruction. 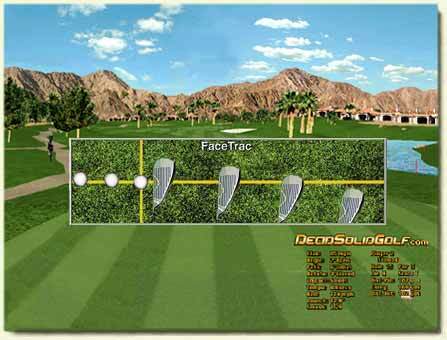 The realistic Face Trac Animation (woods or irons) show how the club contacted the ball. It peopls golfers understand the accurate swing analysis data (clubhead speed, club face angle, swing path, impact point, rotation, tempo & “smash factor”) and why their shots hooked, sliced, and traveled certain distances (ball speed and launch angle). This analysis combination can be displayed during course play and driving range. The Flite Trac Window displays a side profile view of each shot showing the side trajectory of the fall’s flight. It enable direct comparison of up to four dirrerent clubs, each shown in a different color. Ball Trac traces the down the range view of each shot, leaving a continuous trail of golf balls in an arch. The overhead map view shows the shot patterns for all shots. DeadSolid Golf scans BOTH clubhead (yellow area) and ball (Blue area) measured precisely and then uses proven scientific information for range tested accurate ball flight.